Schrodt, Barbara and Lorraine Snyder. "Equestrian Sports". The Canadian Encyclopedia, 21 December 2016, Historica Canada. https://www.thecanadianencyclopedia.ca/en/article/equestrian-sports. Accessed 20 April 2019. Canadians have been involved in modern equestrian sports (dressage, jumping and eventing) since the early 20th century, and have brought home medals from the Olympic Games, World Equestrian Games and Pan American Games. Spruce Meadows is the finest equestrian facility in North America (courtesy Spruce Meadows). Jay Hayes (photo by F. Scott Grant/Canadian Sport Images). Canadians have been involved in modern equestrian sports (dressage, jumping and eventing) since the early 20th century, and have brought home medals from the Olympic Games, World Equestrian Games and Pan American Games. At the Olympics, Canadian equestrians have been most successful in show jumping: in 1968, the team of James Day, Thomas Gayford and Jim Elder won the country’s first Olympic gold medal in equestrian sports, while in 1976, Michel Vaillancourt won Olympic silver in individual jumping. In 2008, Eric Lamaze took Olympic gold in the individual event and silver as part of the Canadian team (with Ian Millar, Mac Cone and Jill Henselwood). At the 2016 Olympic Summer Games, Lamaze won bronze in individual jumping. Today's major equestrian sports can trace their roots as far back as ancient Greece, where dressage was developed as a way to prepare horses for war. Horses were also involved in Olympic competitions as early as 680 BCE, when chariot races were introduced to the Ancient Olympic Games. Jumping developed principally from the 17th and 18th century fox hunt and steeplechase, while eventing (which tests all aspects of horsemanship — dressage, jumping and endurance/cross-country riding) was developed as a way to prepare and test cavalry horses. Equestrian activities have been part of Canada's sporting scene since the early 1800s. The Montréal Fox Hunt was established in the late 1820s, and the first steeplechase race in British North America was held in Montréal in 1840. By 1873, women were active participants in hunts. The first Dominion equestrian championships took place in Toronto in 1895, with several events for both men and women. The Royal Agricultural Winter Fair, held in Toronto every November since 1922, signalled the emergence of the Royal Horse Show, Canada's premier international equestrian event. The first modern Olympic equestrian events, held in Paris in 1900, consisted of show jumping, the long jump and the high jump. Dressage and the three-day event were included with show jumping in Stockholm in 1912. Women have long been active in equestrian competition, but were not admitted to the Olympics until 1952 in dressage, 1956 in jumping and 1964 in the three-day event; equestrian sport is one of the few Olympic disciplines where women and men compete in the same events. They are also included in the Pan American Games. The international governing body, Fédération equestre internationale, was founded in 1921. The most artistic of the equestrian sports, dressage (from the French term for the training of horses) consists of a series of prescribed movements of varying difficulty, done at a walk, trot and canter. An exception is freestyle dressage, which is set to music and choreographed for each horse. Canadians have participated in international dressage competitions since the early 1950s. Christilot Hanson (later Hanson-Boylen) was a member of five consecutive Olympic teams (although the Canadian Olympic team boycotted the 1980 Games). In 1972, she came ninth in the Olympics, becoming the first Canadian to place in the top 12 international individual dressage riders; in 1976, she placed seventh. In Pan American Games competition, she won gold medals in 1971 and 1975. In team dressage, Hanson, Cynthia Neale and Zoltan Sztehlo won the gold medal at the 1971 Pan American Games; in 1975, Hanson-Boylen teamed with Barbara Stracey and Lorraine Stubbs to place second at the Games. At the 1976 Montréal Olympics, the Canadian team was fifth. 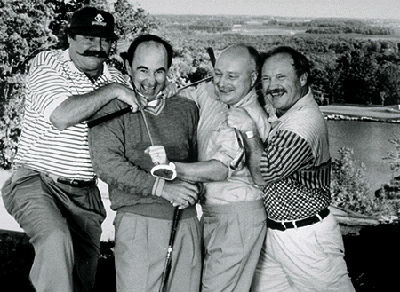 In 1984, Hansen-Boylen finished tenth individually and the team placed seventh. Three years later, she won gold in the individual and team events at the 1987 Pan Am Games; teammate Martina Pracht took silver in the individual competition. At the 1986 world championships (held at Cedar Valley, Ontario, the first time outside of Europe), Cynthia Ishoy (née Neale) finished seventh individually while the team placed fifth. At the Seoul Olympics in 1988, Ishoy teamed with Ashley Nicoll, Eva-Marie Pracht and Gina Smith to win the bronze medal; she also placed fourth in the individual event. Ishoy helped another team to a 10th-place finish at Barcelona in 1992 but did not compete at the 2000 Games. Although she was part of the dressage team at Athens in 2004, Ishoy did not advance to the finals in either the team or the individual events. Canadians have excelled at dressage at the Pan American Games; in addition to the Pan Am medals won by Hanson-Boylen and her teammates in the 1970s and 1980s, Canadians won the team event as well as the gold (Lorraine Stubbs) and silver (Ashley Munro) in individual dressage at the 1991 Games. At the 1999 Pan Am Games, Shannon Oldham-Dueck took home silver in individual dressage, while Leslie Reid won gold in 2003 and Christopher Von Martels took the bronze in 2015. The Canadian dressage team won the silver medal in 2003, 2007, 2011 and 2015. In show jumping, horse and rider jump a set course of obstacles. Nation's Cups, which include the Olympics, are premier invitational international competitions for jumpers. Canadian equestrians have garnered their highest honours in show jumping. They began making international appearances as early as 1909, when a team of jumpers entered the Military Tournament in the International Horse Show at Olympia, London. Canadian Army teams continued to compete abroad after the First World War; Major R.S. Timmis became the first Canadian to win an international contest, at the Toronto Coliseum (1923). In 1926, the first official Canadian jumping team entered the Royal Agricultural Winter Fair and competed in Boston and London. The military monopoly of Canadian teams continued until the early 1950s, when reduced cavalry units and a broadened equestrian base resulted in an increase of civilian participants. 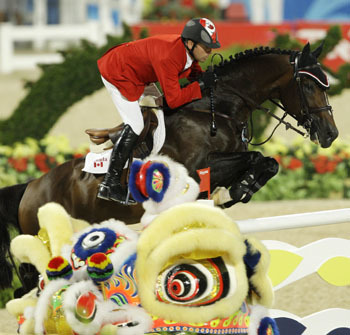 James Day became the first Canadian to win an individual equestrian gold in the Pan American Games while the jumping team placed third. On the final day of the 1968 Mexico City Olympics, James Day, James Elder and Thomas Gayford thrilled Canada by winning the team gold medal. This same team won the North American Grand Prix and Royal Horse Show events in 1969, and the World Championship at La Baule, France, in 1970. In 1971, Canadian jumpers won the team gold at the New York National Horse Show, the Royal Horse Show and the Pan American Games (where Terrance Millar also won individual bronze). At the 1972 Olympic Games, the team placed sixth; James Day was fourth in the individual event, losing the bronze by one-quarter of a time fault. Barbara Simpson Kerr placed third in the Ladies World Show Jumping Championships in 1974, and the Canadian team won the Pan American bronze medal in 1975. A highlight of the 1976 Olympics was Michel Vaillancourt's silver-medal performance in individual jumping. 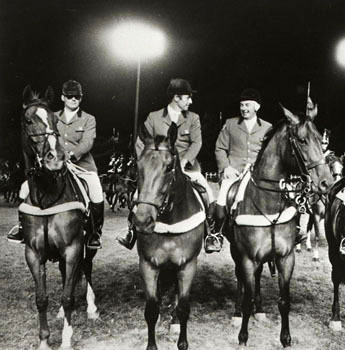 With the equestrian boycott of the 1980 Moscow Olympics, the designated alternative competition was the Nation's Cup in Rotterdam, where the Canadians won the team gold medal. 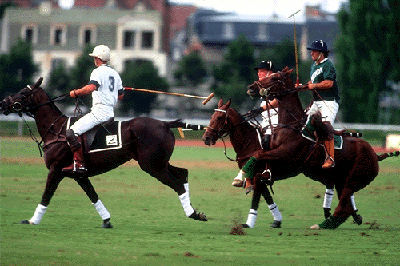 Two years later, the Canadian team also won the Nation's Cup in Sydney, Australia (1982). Mario Deslauriers won the jumping World Cup in Sweden in 1984. At Aachen, West Germany, in 1986, Gail Greenough won the world show-jumping championship with a no-fault performance. At the Pan Am Games in August 1987, show-jumper Ian Millar became the second Canadian to win an individual gold; Canada also took gold in the team event. Millar, riding Big Ben, won the World Cup in show jumping in both 1988 and 1989, the first horse and rider to win the competition in successive years. Millar and Big Ben were inducted into the Canada's Sports Hall of Fame in 1996. Big Ben is only the second horse (after Northern Dancer) to be inducted into the Hall. Millar was part of the team (Mac Cone, Jill Henselwood and Eric Lamaze) who took silver in the 2007 Pan American Games in Rio de Janeiro. The Canadians also dominated individual jumping, with Henselwood taking gold and Lamaze the bronze (Millar finished fourth). The following year, Canada's equestrian athletes became the surprise winners at the 2008 Beijing Olympics, where Millar and his team of Eric Lamaze, Mac Cone and Jill Henselwood won silver, Canada's first Olympic medal in jumping since 1976. Later, Lamaze won the country's first individual gold medal in equestrian and the second individual show jumping medal in Olympic history. At the 2015 Pan American Games in Toronto, Canada’s team of Tiffany Foster, Lamaze, Millar, Yann Candele and Elizabeth Gingras took home the gold medal in team jumping. A year later, Lamaze won bronze in individual jumping at the 2016 Olympic Summer Games in Rio, and finished fourth in the team event (with Candele, Foster and Amy Millar). Eric Lamaze aboard Hickstead during their gold medal performance at the 2008 Beijing Olympics. It was the first-ever gold medal for Canada in individual Olympic show jumping (courtesy CP Archives). The three-day event, or "eventing," tests the all-round ability of horse and rider, and consists of dressage, endurance tests and show jumping, each on a separate day. Canada's first Olympic equestrian team competed in the three-day event at the 1952 Games in Helsinki. At the 1956 Olympic equestrian events held in Stockholm, the Canadian three-day team (Brian Herbinson, John Rumble and James Elder) captured the bronze medal. Canadian three-day eventers also performed well at the Pan American Games, winning the team gold and individual bronze medals (Norman Elder) in 1959; the team silver and individual silver (Elder) in 1967; the team gold and individual silver (Clint Banbury) in 1971; and the team silver in 1975. Canada would again win the team silver at the 1987 Pan Am Games. At the 1978 World Equestrian Games in Lexington, Kentucky, the three-day event was won by Canada (Mark Ishoy, Juliet Graham (now Bishop), Elizabeth Ashton and Cathy Wedge). Canada would not win another eventing medal at the world championships for over 30 years. In 2010, the Canadian eventing team of Stephanie Rhodes-Bosch, Selena O'Hanlon, Hawley Bennett-Awad and Kyle Carter placed second at the World Equestrian Games. At the 2007 Pan American Games, the Canadian team (Carter, Sandra Donnelly, Waylon Roberts and Michael Winter) won the silver.At the next Pan Am Games in 2011, Jessica Phoenix won gold in individual eventing and led the Canadian team (James Atkinson, Hawley Bennett, Rebecca Howard, Serena O’ Hanlon) to a silver medal. At the 2015 Pan American Games in Toronto, Phoenix placed second in the individual competition, and third in the team competition with Colleen Loach, Waylon Roberts and Kathryn Robinson. Equestrian sport in Canada is controlled by Equine Canada, formed in 1977. Equine Canada partners with a number of organizations, including all 10 provincial equestrian associations. Horse shows in Canada are also licensed by Equine Canada. The Canadian Equestrian Team, a committee of Equine Canada, is responsible for fielding Canada's international teams in dressage, show jumping and eventing (the three-day event testing dressage, endurance and jumping). 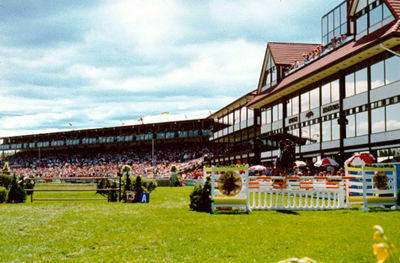 An important development in Canadian equestrian sports was the construction in 1975 of the show-jumping and international competition complex at Spruce Meadows, south of Calgary, Alberta. The finest outdoor competition site in North America, it currently offers the richest show-jumping event in the world, attracting the best international riders. Spruce Meadows Equestrian CentreThe official website of Canada's premier Equestrian centre.